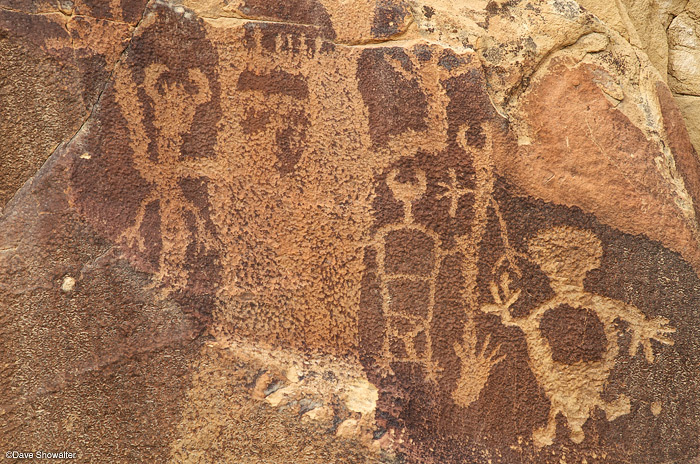 Dinwoody style petroglyphs are a signature of the Eastern Shoshone, perhaps Sheepeater Indians. The Legend Rock site near Hamilton Dome is one of the most important on the Absaroka Front and remains a sprititual site for Native Americans today. Photo © copyright by Dave Showalter.